I'm 22 and started taking recreational adult ballet classes around 2 years ago. I completely fell in love with it and was constantly craving more, so I have now started taking once a week private lessons for some one-on-one training. I'm not sure where my love for ballet will take me, especially since I am starting at a late age, but I want to push myself just as hard and become the best dancer I can. I was wondering if you have any advice for someone in my position. Are private lessons the best option for me or would you recommend looking into something else? Am I starting ballet too late and therefore any goals I set will be too hard to reach? Thanks for your message, it really put a smile on my face. I love your passion, eagerness and yet uncertainty which is much like myself. You are full of questions, perhaps doubts and unknown to what's ahead or where ballet could lead you. In fact, it is totally ok to not know where ballet could take you. If you are passionate about working hard, pushing yourself and enjoying this satisfaction then it is enough to take you through each day and lead you to somewhere wonderful. I think private lessons are the perfect idea to reaching where you want to be. 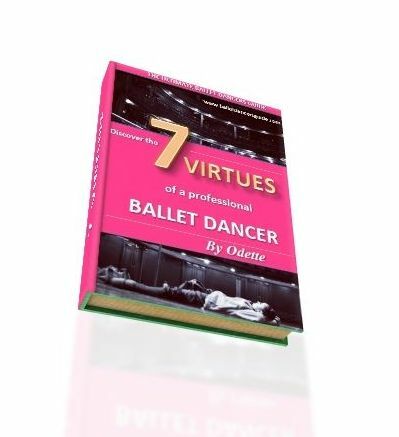 It is great you are getting that one to one attention which is so needed in ballet to improve to the maximum. Each dancer is entirely different which individual corrections, bodies and facility so it is good of you to have taken the initiative to already have this. Ballet will bring plenty of opportunities, inspiration and satisfaction that is enough to keep you wanting more. Keep in touch and I am always here to listen or help.